The first Day In The Life™ for 2018 is happening next Thursday, March 15th and to get you in the documenting mood I wanted to give you a project refresher. Day In The Life™ is a one-day documentary project that invites you to tell the story of one single 24 hour period via photos and words. I started this project many years ago as a way to really take stock of the life I’m living at a specific point in time – where I’m going and what I’m doing and who I’m talking to and what’s happening with my kids and what I’m eating, etc. I love looking back over many years of this project and seeing the ways in which my life has changed and sometimes, the ways in which it has stayed the same. You can see how I've documented this project in a variety of ways over the years via my archives here. Nothing about this project is rooted in perfection. This project is about embracing our lives as they are, not how we wish for them to be. It’s about celebrating the little things and looking for opportunities to see yourself in your own story. It’s also about having fun and using this opportunity to take photos you might not otherwise take – these are the ones that often turn out to be my personal favorites. Another beautiful piece of this project is the community that supports it. I love seeing people all over the world documenting the same day and all the different ways we live our lives. The most awesome thing is that all you have to do is show up to your own story by being willing to capture it with your camera. 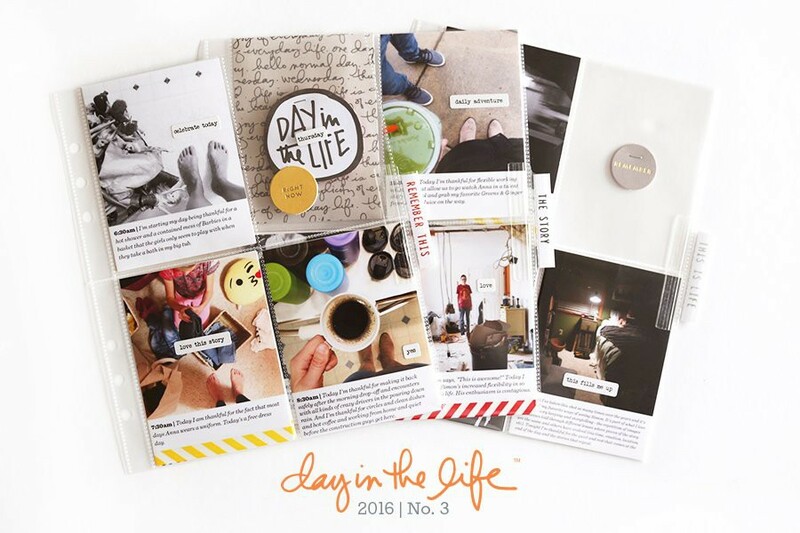 For this upcoming Day In The Life™ I'm going to focus on the topics included in the 2018 Winter Kit (physical version is sold out // digital version available here). I'll be looking to document something about the following topics over the course of my day: move, chores, clothes, music, read, food, work, play, love, drive, and ugh (because there's always a little of that thrown into almost every day). I love using Instagram as a record of my day and including more of the story in my captions. Sometimes I also make story notes in my phone so I remember the thoughts I want to include to go along with my photos. Some people like to embark on this project with a bit of structure rather than as a free for all. Many people have found that setting alarms on their phone for each hour of the day has helped them to remember to take photos and is a great way to pause throughout your day to write down what is happening. This project can be as in-depth or as simple as you want it to be. I’ve done it a variety of different ways over the years – sometimes I include more words and sometimes less words. Sometimes I’ve taken tons of photos and other times I’ve taken a lot less. There are so many different ways to approach this in order to get your story told. Take photos of the things that seem insignificant. Life changes so fast in so many different ways. Capturing the little pieces of life right now is a great way to express gratitude for all that we have. It doesn’t matter what kind of camera you have. An iphone works great for this project. It's totally okay to not use all the photos you take over the course of the day in your actual project - sometimes I just love having those to use to tell other stories as well. Play around with different angles. Shoot from up high or down low. One of the things I love about this project is that it encourages me to play around with my photography skills and get out of my regular shooting routine. Play around with lighting. Some of my most favorite shots have come from trial and error related to lighting. I love taking photos of my kids in their beds at night with just their bedside lamps lighting the shot. Get yourself in the picture. Use the timer on your phone or a remote to make sure that you are included in this story of your day. Literally seeing myself in my photos helps ground me in the present. I am the main character of this story. This post is a great example of the kinds of photos I often take on Day In The Life™ documenting days. 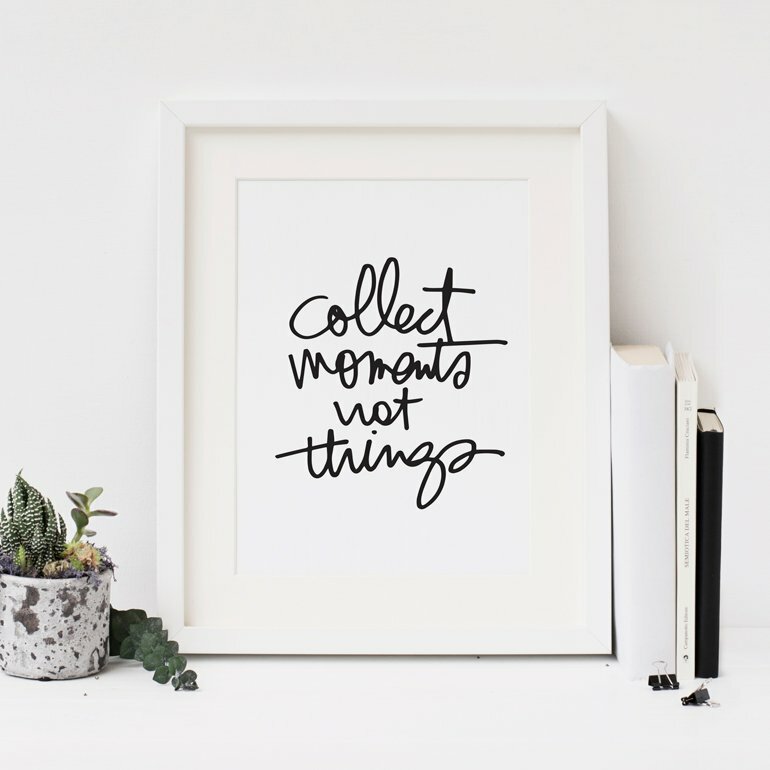 Even if memory keeping in the traditional crafty sense isn’t your thing you can still play along on Instagram to share the images you capture of this one single day in your life. 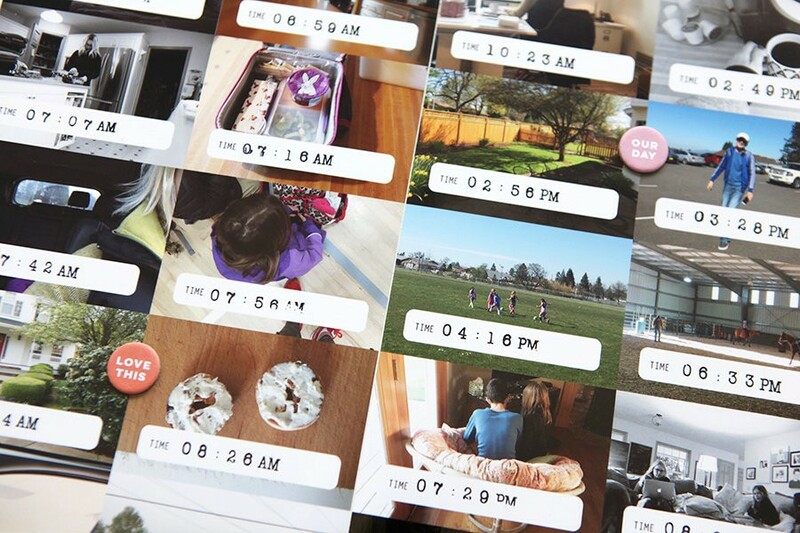 Telling the story of your day via photos and captions is an awesome way to document your day. Materials to help you document your story here. Past blog posts with project and photo examples here. 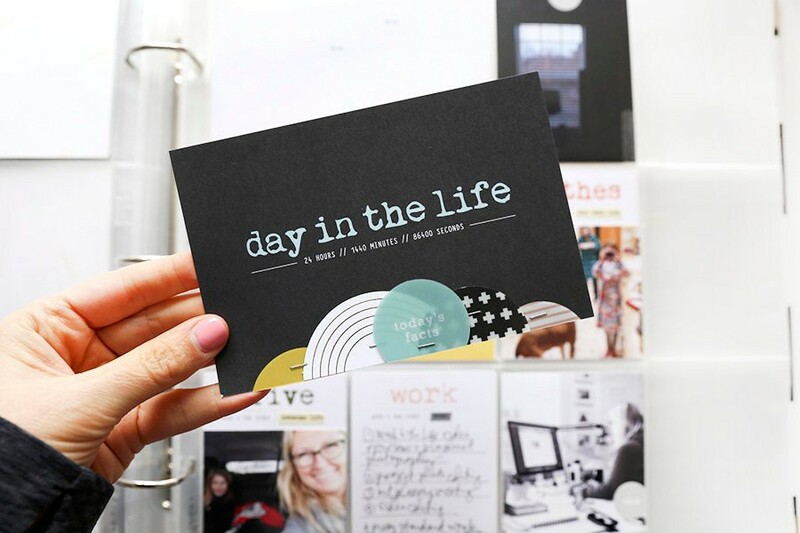 Join my Day In The Life™/Week In The Life™ Facebook Group for more inspiration here. I did this a few years ago, but not in a while. 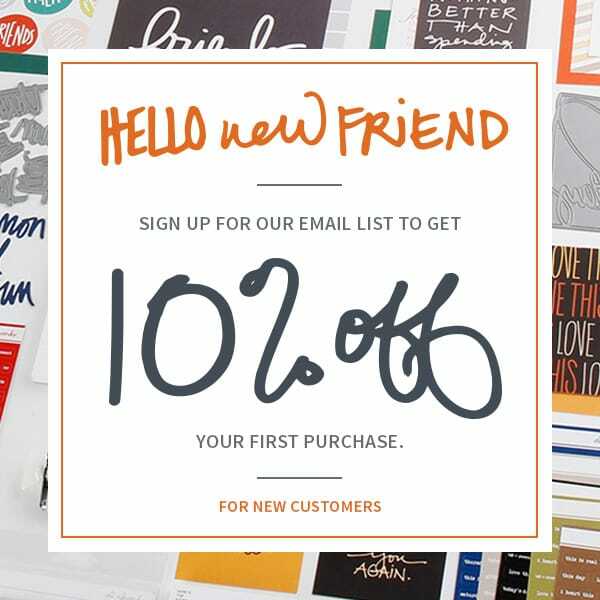 Do you have PDF printables for writing down the details of the day?